I believe we, as the body of Christ, are entering a time when it is absolutely necessary to walk out our faith! What do we believe? And if we believe – do we EXPECT to SEE what we believe? For we walk by faith, not by sight. (2 Corinthians 5:7). Our faith is not based upon what we see…but what we see should be a manifestation of our faith! We must SPEAK our faith…declare what the Lord declared in His word! Declare and decree the TRUTH that He spoke – His Truth is unchanging and timeless. 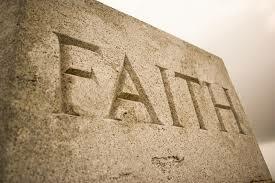 Now faith is confidence in what we hope for and assurance about what we do not see. (Hebrews 11:1). Are we walking in ASSURANCE and CONFIDENCE? What has the Lord placed within your heart and spirit concerning His desire for you? What is His desire for your family, your ministry, your church, your community, your city, your state, your country, and for the world? May we align ourselves with HIS desire and will! And may we PRAY His will; SPEAK His will; and ACT upon His will! Are we waiting upon Him to answer our prayers? Well, He is waiting upon us to be a part of the answer He is releasing! And what is our part? We are to represent Him upon this earth – to be His hands, feet, and VOICE! Are we ready? Do we have the confidence and boldness to go forward in the power of the Holy Spirit and BE the body of Christ we are called to be? We can only represent Him to the extent that we KNOW Him! Do you KNOW the King of kings and Lord of lords — not just know ABOUT Him — but know Him personally?